Additional Info: We have also placed in the caravan a slow cooker & steamer, variety of DVD's, children's books, games and puzzles. In every room we have USB charging points. All bookings require a £75 non-refundable deposit to secure the booking and the balance will be due 6 weeks prior to arrival. Duvets and Pillows are Supplied, but NO bed linen or towels, however these can be hired from reception. STRICTLY NO PETS, NO SMOKING. How many guests and child ages please. Waterside holiday park and Spa is situated on the Jurassic coast, Weymouth offers people blue flag award winning beaches and a rich history to explore as well as natural beauty spots. It is an ideal holiday location as it offers a chance to relax by the beach or for the more adventurous to explore the history or try some new sports like wind surfing, zorbing, paddle boarding etc. Waterside holiday park and Spa has many amenities which include: indoor/outdoor heated pools, gym, sauna, steam room, spa, restaurant, take away, site shop, and launderette. Waves Sports bar and children's soft play area plus the Waterside Venue family entertainment center are open both day and night which includes bingo, singers, tribute acts and comedians to mention a few. All areas of the site are ramped for wheelchair access and there is a lift to Waves bar. A bus to Weymouth leaves the park every 20 minutes for your convenience. The park is only a few minutes walk from the scenic Bowleaze Cove and Beach, which also includes restaurants, a fun fair. and on a Monday morning there is a car boot sale / market. You will all be provided with silver passes for all the family, these give you access to the parks facilities; free nightly entertainment in the licensed venue club room and free entry into The Waterside Sports Bar which has BT sports, Sky Sports as well as a soft play area & Costa Coffee. Leisure Center passes can be purchased from reception for a small charge, approx £2.90 (Child) / £3.60 (Adult) per day, or £15 / £20 per week. WiFi is available to purchase at reception, or free in the sports bar. Bed Linen is available to hire from reception - contact Waterside direct for pricing. We are very flexible on letting dates so please don't be put off by the dates offered or hesitate to contact me. If you contact me via email I will respond as soon as possible. Please be respectful and take care when staying in our property. You are responsible and liable for any breakages or damages which you cause to the caravan or the contents, which are provided for your comfort and convenience. All we ask is that you report any incidents if they occur, as soon as possible to allow us time to correct this and provide replacements for the yourselves or the next guests. Your accommodation will be available to you from 4.00pm on the day, unless otherwise arranged. We may not be able to accommodate you if you arrive earlier than the agreed time as we will be busy preparing the caravan. On the day of departure, please ensure you have all your belongings, the accommodation is left clean and tidy, and you vacate by 10.00am. Additional Info: Pub/Club, Daily Entertainment Program , The Shack outdoor bar with outside sandy play area , Indoor Soft Play ,BT Sports, Sky Sports Amusement Arcades, Indoor heated Pools and slides ,Outdoor Heated Pool, Sauna, Steam Room,Spa Treatments available, Indoor Gym, 3G Outdoor Astro Turf Football Pitch, Outdoor Gym, Launderette, Grocery Shop, Takeaway, Restaurants. Lovely coastal paths for walks. 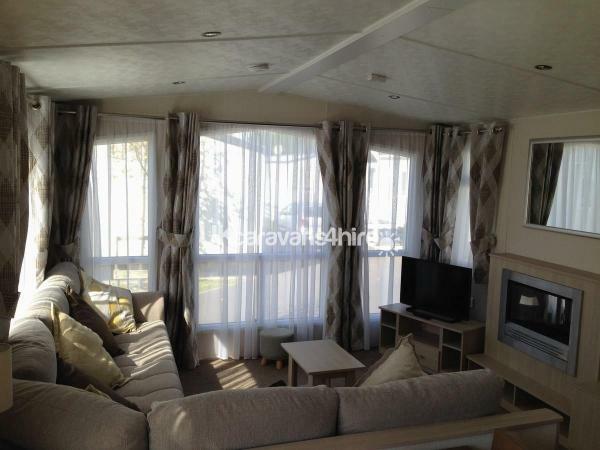 This is a fantastic modern spacious caravan with everything you need for a great holiday. The caravan was very clean on arrival. We enjoyed sitting out on the veranda in the sunshine. 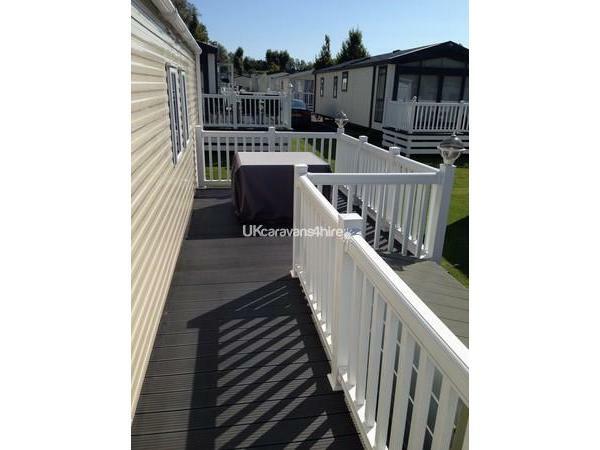 This caravan is placed in the best part of the site, not far for the amenities but also peaceful. We cannot wait to book again! Thank you for the feedback, I’m so glad you had a lovely time. Please feel free to contact me if you would like to book again. 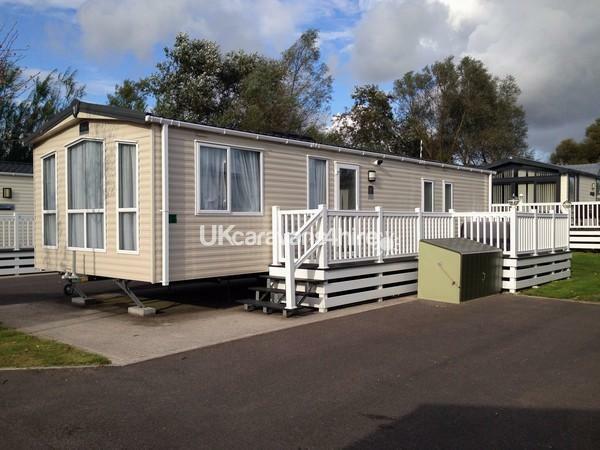 OUR FAMILY SPENT A LOVELY WEEKEND IN THIS BEAUTIFULLY CLEAN AND WELL EQUIPPED CARAVAN. WE LOVED THE OUTDOOR FURNITURE ON THE VERANDA. WOULD STAY HERE AGAIN AND LUCY WAS VERY QUICK AND PLEASANT IN RESPONDING TO ANY QUESTIONS ETC. Many thanks for the lovely feedback Susan, so pleased you had a enjoyable time. Please feel free to contact me again at any time. Thank you for the lovely feedback. So glad you had a lovely time. We had a lovely week here in April for a family holiday with two young children. 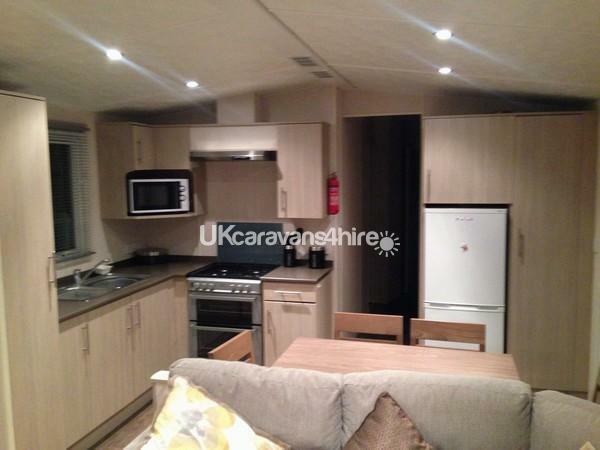 Caravan was modern, well maintained and very clean throughout. Great location as in a quiet spot but within easy walking distance to all amenities. Caravan was well equipped with a lovely touch of additonal extras for the children. Excellent facilities on site for two young children and plenty to do. 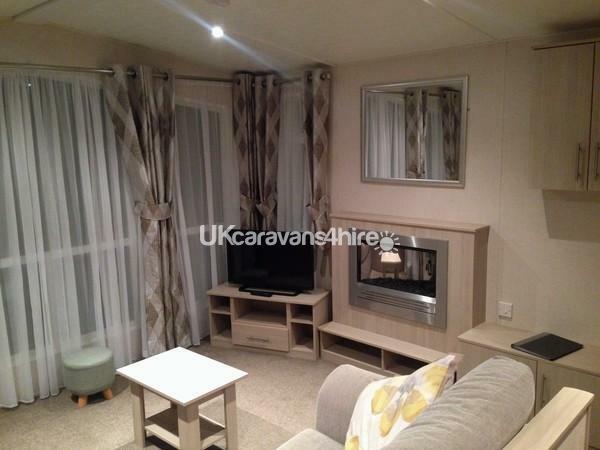 Would definitely come back to this caravan and have already booked to come back next year. Thanks for a great holiday. Thank you for the lovely feedback.. So glad you enjoyed yourself and so pleased you have re-booked!. 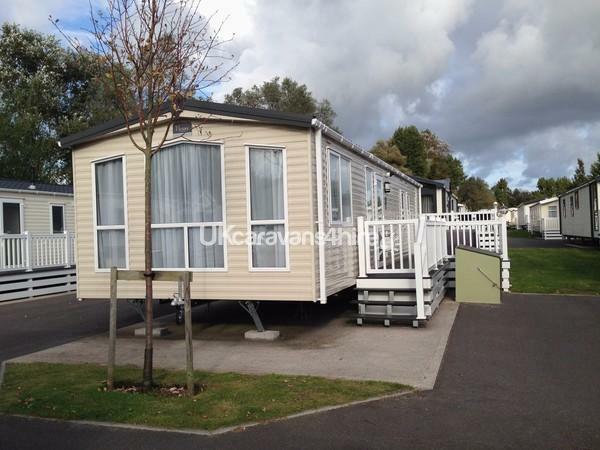 Really enjoyed our stay in this caravan everything was " spot on " very clean and well maintained situated in a quiet location yet very near to all amenities. When booking we found Lucy to be polite, friendly and very professional in dealing with our request of dates which meant displaying a degree of flexibility at short notice. 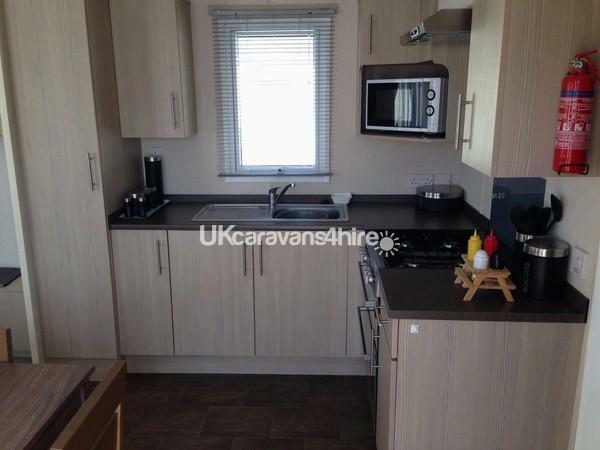 Would have no hesitation in recommending this holiday home to anyone either couple or family looking to hire a quality caravan from genuine people. 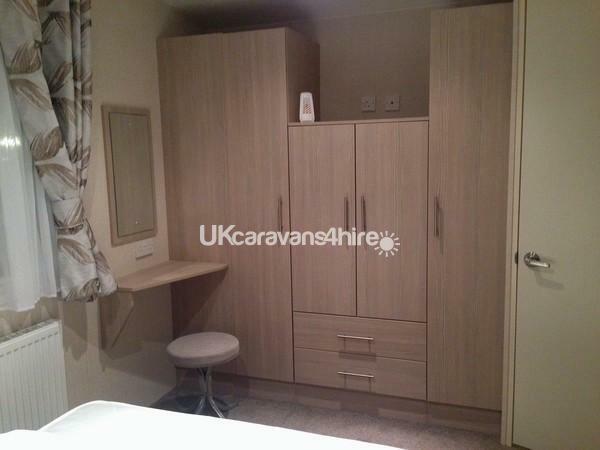 Lovely clean caravan equipped with all we needed in quiet area of park. DVD player and child's step in the bathroom was handy for our 20 month old grandson. Lucy very prompt in responding to messages and was extremely helpful which was great as we booked very last minute. Would definitely like to stay in this caravan again.